Creator of Did You Know Anime, Michael Perge has been running websites and producing content in the anime community since 2010. Reviewing, Podcasting, Directing, Abridging, you name it he’s probably done it. A lover of all things Japanese, he has a soft spot for Space Western anime and Horror Manga. Did you know? We’re the general trivia show on all things anime! 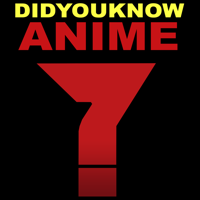 Created by Michael Perge, “Did You Know Anime?” provides fun and interesting facts about various titles ranging from contemporary favorites to timeless classics with the help of talented personalities from all corners of the anime-viewing community.